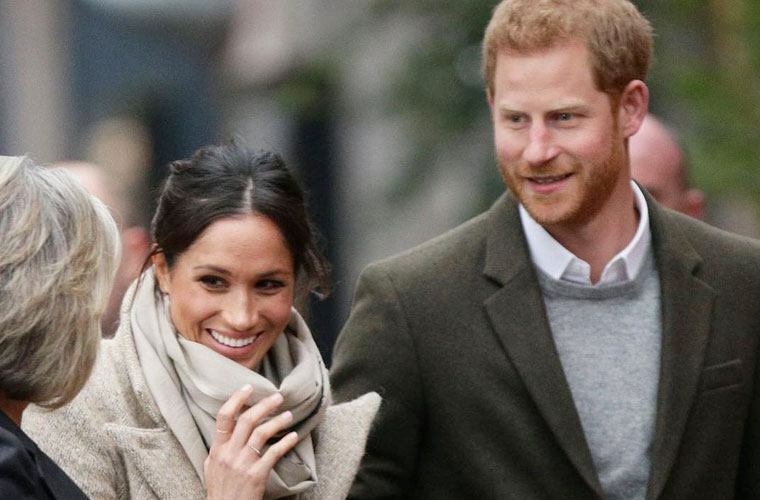 Even though Meghan Markle is set to become royalty this May when she marries Prince Harry at a wedding that hopefully involves some sort of banana cake, the super-relatable actress isn’t afraid to blur the lines of royal protocol when it comes to rocking a simple and casual do. Rather than donning a perfectly manicured blowout at her first public appearance of the year, Markle took a casual off-duty look for a public spin, Vogue reports. While she was out with her fiancé, Markle did to do as many smart women do: She saved herself the trouble of mastering perfect cascading waves in favor of rocking a low bun—wispy strands and all!—giving a post-gym aesthetic the total royal treatment. Such a simple look might not be officially sanctioned for someone marrying into the royal family (Vogue notes Kate Middleton is nearly always done up), but if there’s one thing to know about Markle, it’s that she’s bold. And thanks to her rebellion, you can leave your workout feeling all sorts of princess-y too, simply by throwing up your hair. This is the hairstyle every busy woman needs to know about. Also, check out these sweat-friendly workout styles you haven’t tried yet.